See here for the schedule for the current season. The team results are determined by the finishing positions of our runners, not by finish times. Men and ladies score separately, with their scores combined for the overall team score. There are trophies awarded each season for the top men's team, the top ladies' team, and the top overall team. We encourage all our members to come and take part in these races. 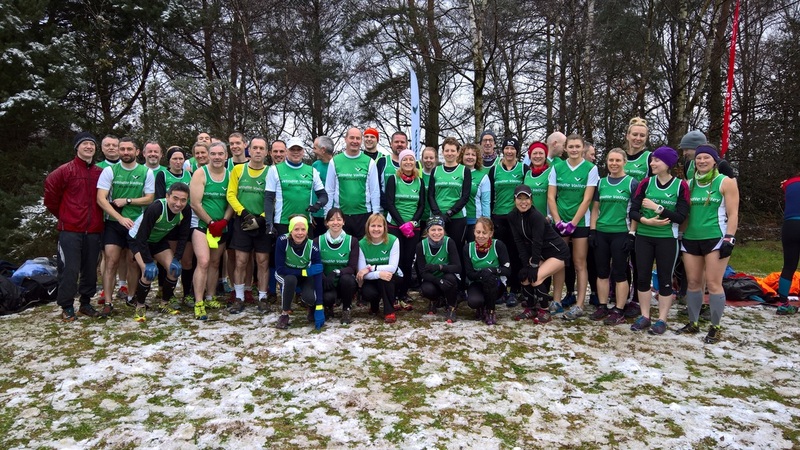 They are great fun, good for getting to know the other members, and cross country is great for making you a better and stronger runner. Most importantly, the more members who run for us, the better we do! the club pays your race entry fee, so there is no cost to you. for each race, we are responsible for our own scoring - you will be handed a token when you finish that shows your finish position. You must hand in the token to our club's scorer (usually Steve) for him to record your finish on our scoring sheet, which then goes to the race organisers. Please do this before leaving! We email the race results to you as soon as they are available, and once finalised they can be seen in detail on the league's own website. The league has its own Facebook Group which you can join to share news from other clubs. We have videos of many of our races on our YouTube Channel.